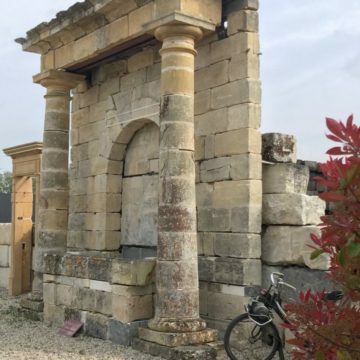 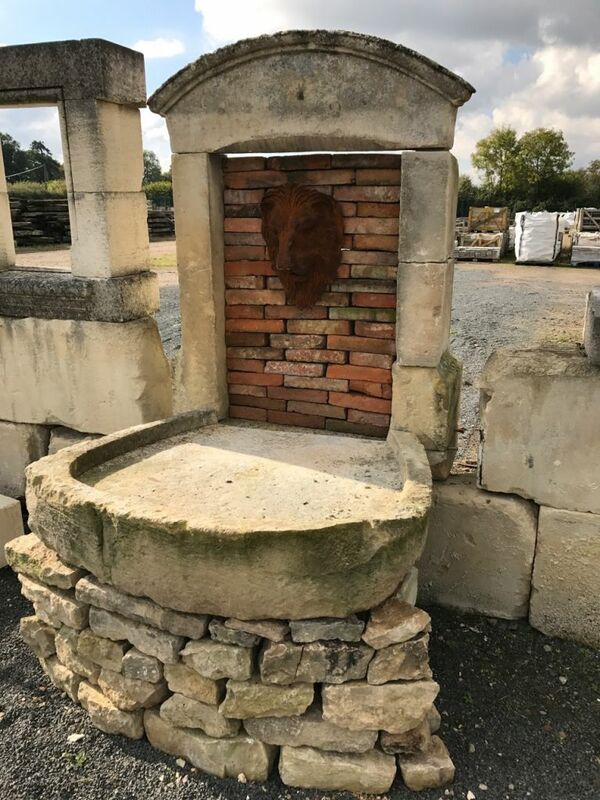 Wall fountain in antique french limestone with reclaimed hand-made brick infill (which can be replaced with limestone if preferred) and a broad stone catchment pool supported by limestone walling stone (see BCA refs 01056 and 00419 available from stock). 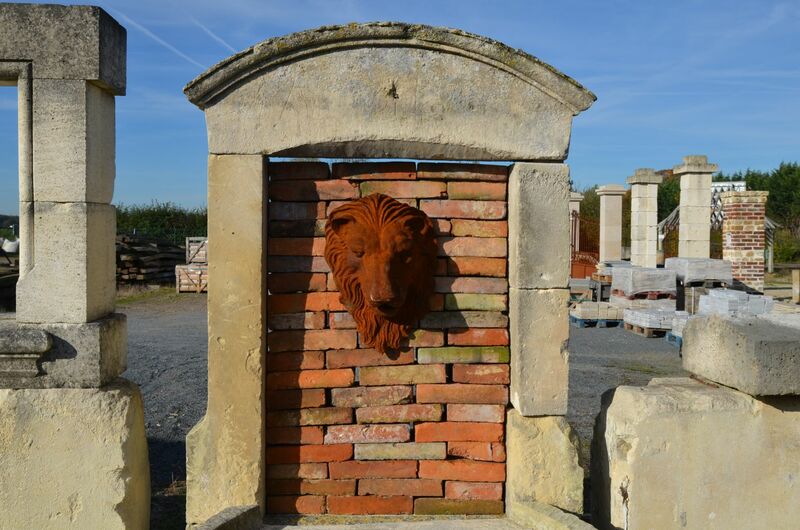 The cast iron lion’s head is also included. 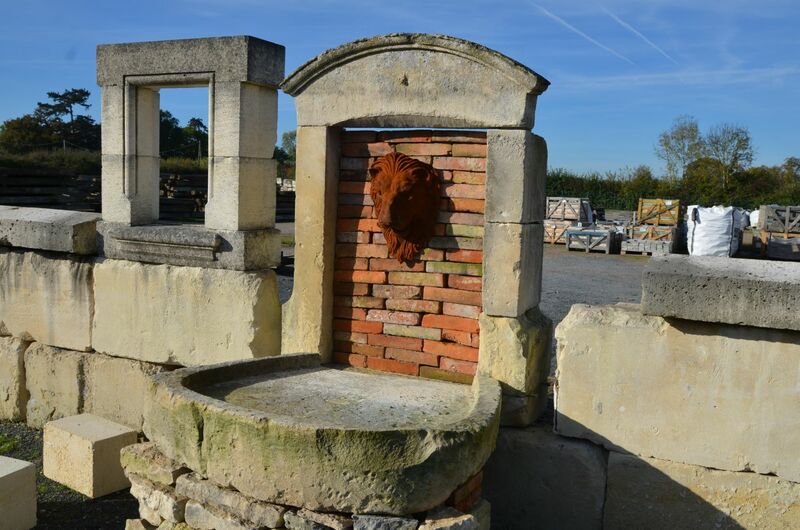 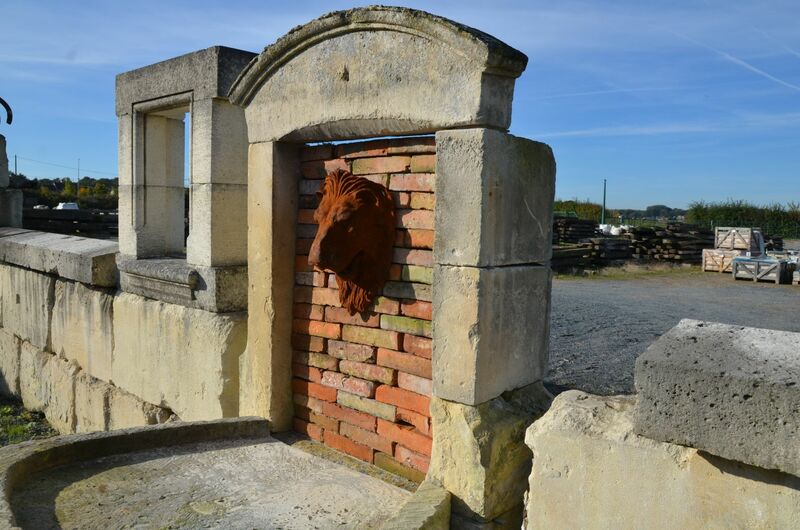 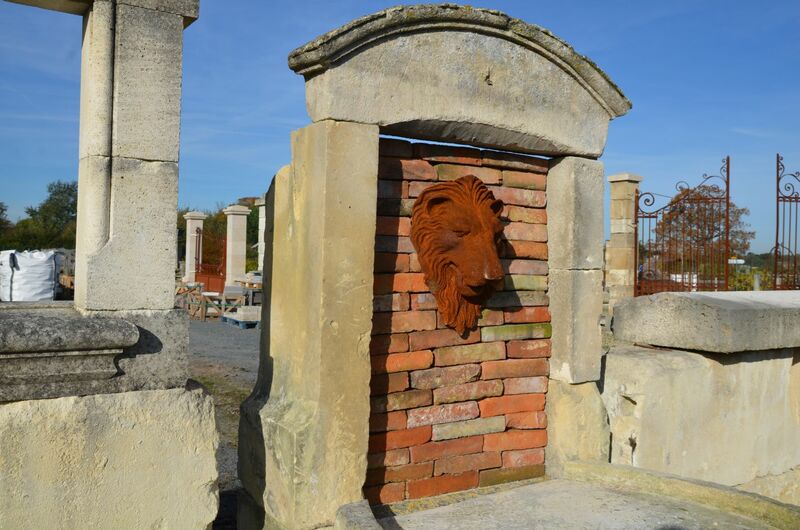 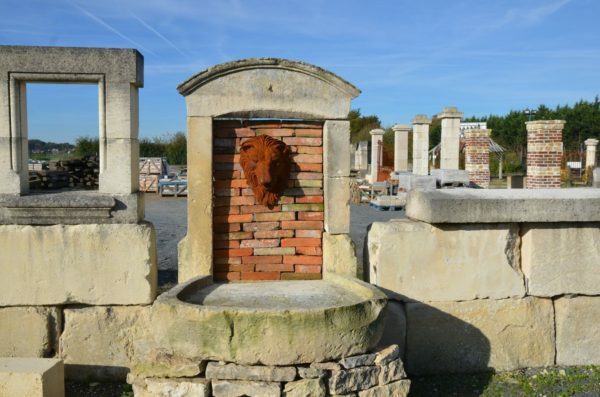 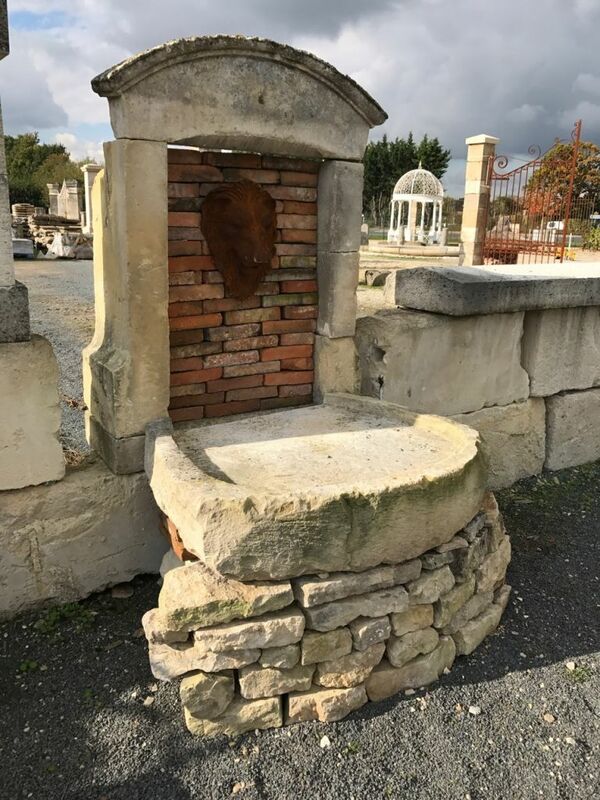 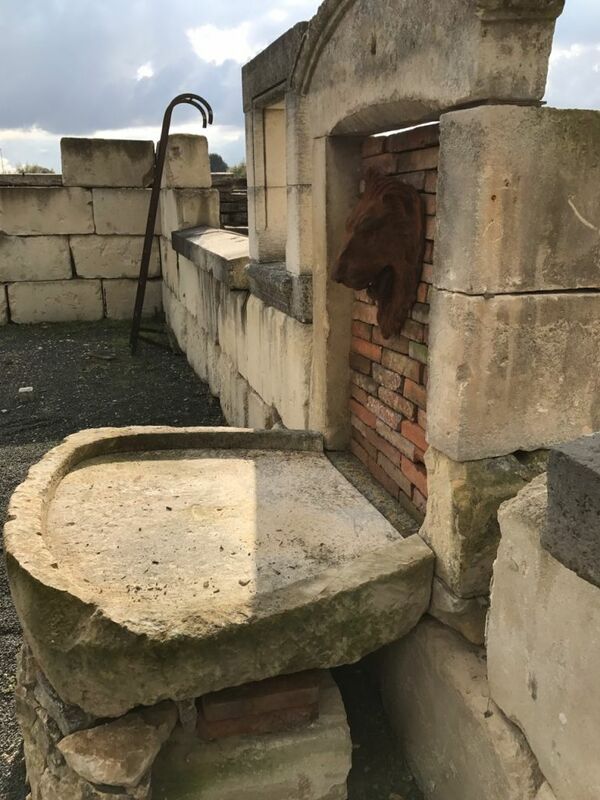 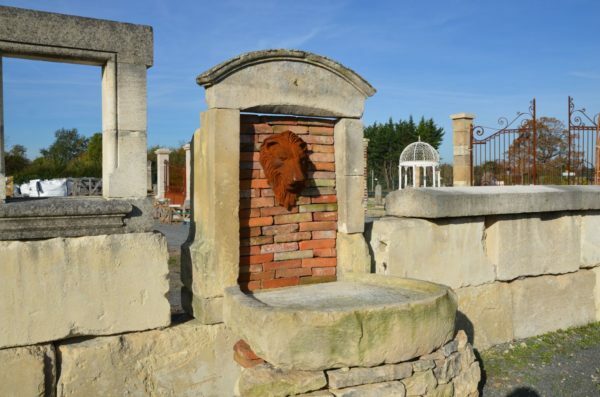 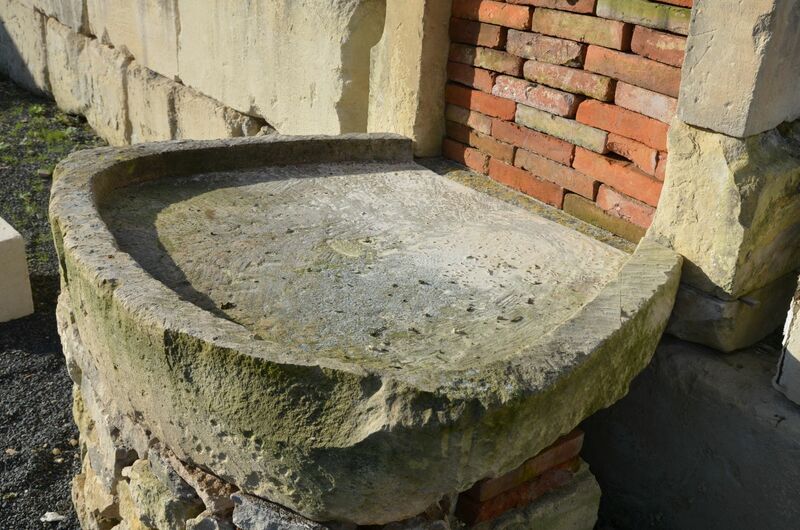 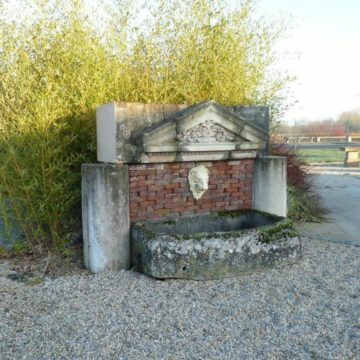 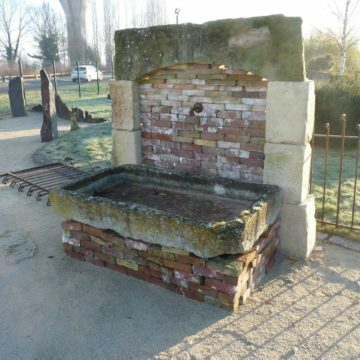 This reclaimed wall fountain is on display at BCA’s Normandy premises at Mery Corbon between Caen and Lisieux. 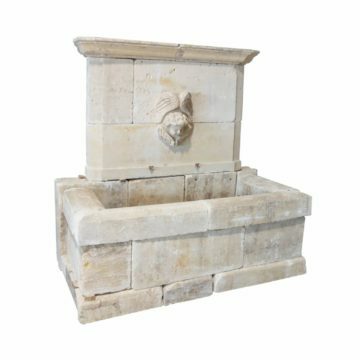 For this display it is temporarily built into a reclaimed limestone block wall BCA ref 01188, also available from stock. 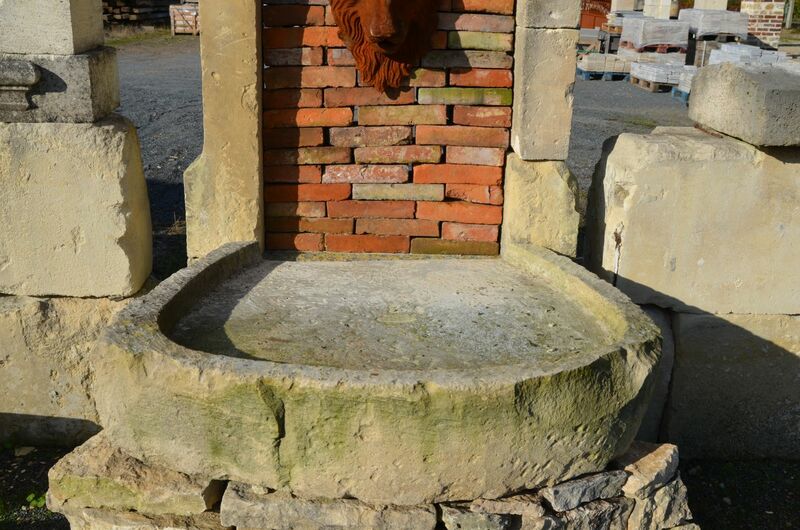 Overall height 1600mm x width at its widest 1200mm x front-to-back 1600mm. 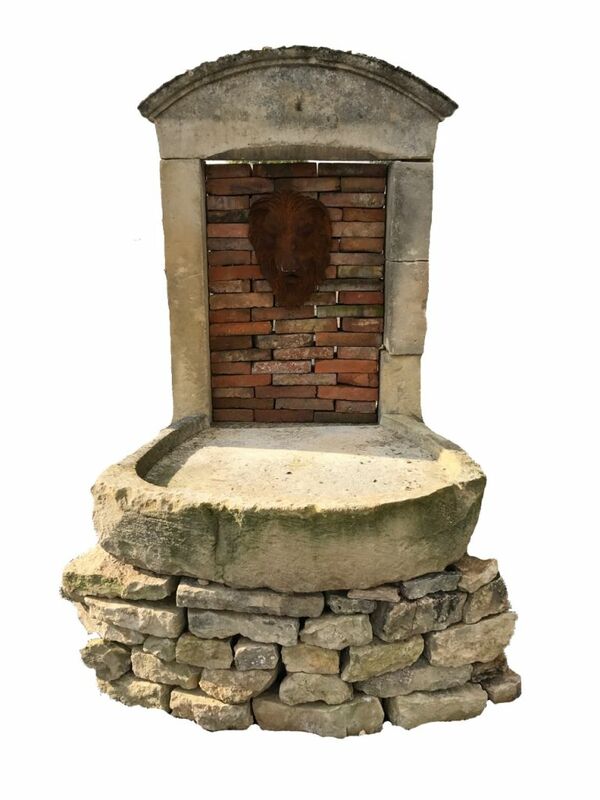 Overall height 63 inches x width at its widest 47 inches x front-to-back 63 inches.